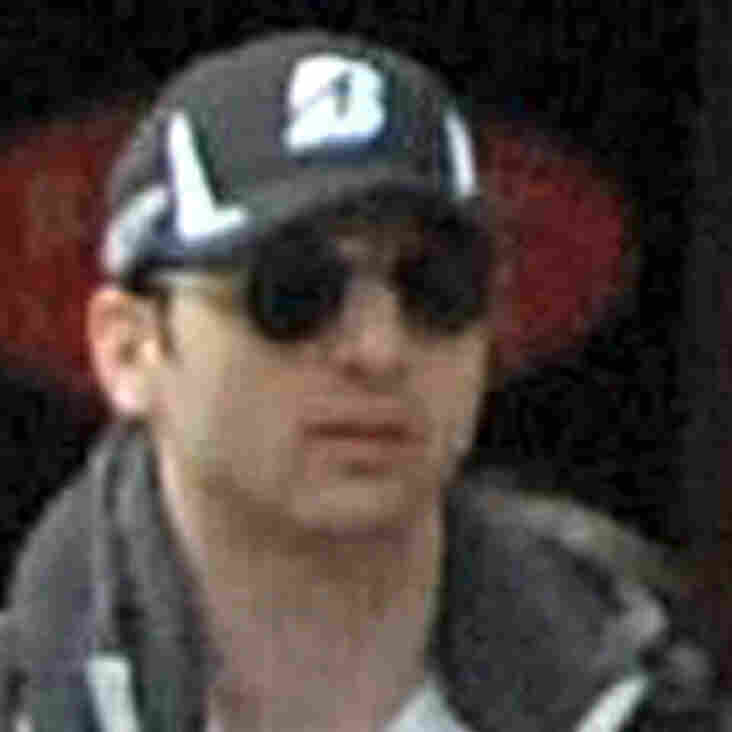 Boston Bombing Suspect's Body Finally 'Entombed,' Police Say : The Two-Way For more than two weeks, a funeral director in Worcester, Mass., had been trying to find a grave yard willing to take Tamerlan Tsarnaev's body. Police there now say a place has been found and that the remains are no longer in Worcester. They have not revealed the location. The body of Boston Marathon bombings suspect Tamerlan Tsarnaev "is now entombed," the Worcester, Mass., police department announced Thursday morning. Tamerlan Tsarnaev, as seen in a video taken on April 15 near the finish line of the Boston Marathon. The statement does not reveal where Tsarnaev's remains were taken, only that "as a result of our public appeal for help, a courageous and compassionate individual came forward to provide the assistance needed to properly bury the deceased. His body is no longer in the City of Worcester and is now entombed." Tsarnaev died on April 19 following a gun battle with police. The twin bombings near the marathon's finish line, which killed three people and wounded more than 250, happened April 15. The other suspect in the bombings, Tsarnaev's brother Dzhokhar, was captured on the 19th. As we've reported, Worcester funeral director Peter Stefan had been trying in vain for more than two weeks to find a cemetery or locality willing to take Tamerlan Tsarnaev's body. On Wednesday, Worcester police Chief Gary Gemme talked about the thousands of dollars it was costing his department to protect Stefan's funeral home and added these emotional words: "We are not barbarians, we bury the dead." Related story: In Boston, A Rare Rejection Of The Dead.